High stakes regular, magician, pageant queen, and CoinPoker ambassador Melika Razavi loves hitting the cash game tables. To give our community some insight into her pot-winning strategies, Melika will walk you through two great hands step-by-step. oribatej opens from the button to 1,200 and I 3bet to 4,400 from the small blind with . Big blind folds and oribatej calls my bet. 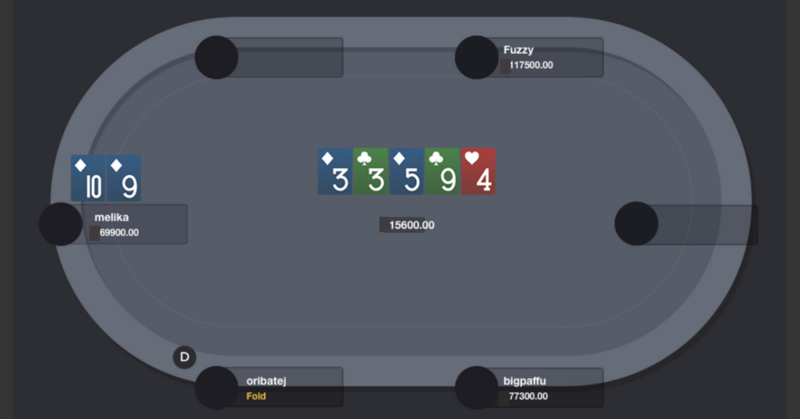 I like to 3bet from the small blind with hands like these because high is not a strong enough hand out of position to jsut call with. Also, the button range is very wide and I can do that with any Ace suit and all pairs 8 and above. I find that suited connectors like make a great bluffing/value hand to 3bet with from the small blind. The flop is , a great flop for me with a flush draw but still a very dry board. I prefer making continuation bets of around 30% with bluffs, draws, or nuts. Therefore, I decide to bet 3,200 into 9,200 and oribatej calls. 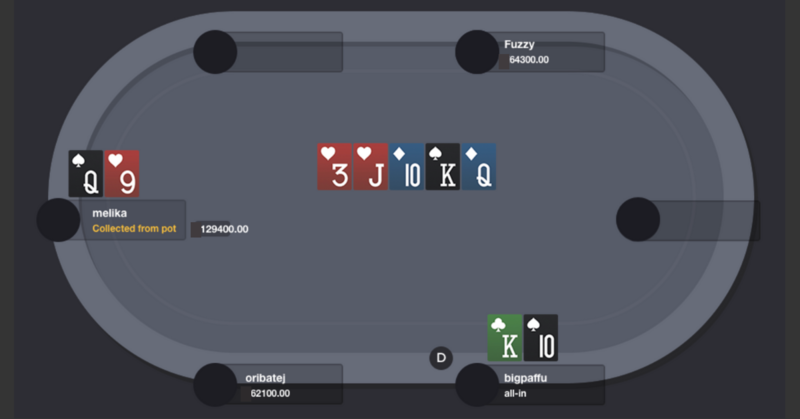 The turn is a .
I always like to check when I have a pair and flush draw for two reasons. Firstly, I have showdown value and, secondly, if I do hit my flush it’s hard for him to put me on a flush and I would get the most value out of my hand. I went ahead and checked and oribatej checks back. The river comes and it’s a . With this river, I’m pretty sure I have the best hand. If oribatej had an overpair he would have bet on the turn since he’s in position as there were two flush draws on the board. Plus, he wouldn’t have allowed me to see river by just checking back. I bet around 3/4 of the pot, 12,000 into 15,600 which is pretty standard on the river. He took some time before folding his hand and I won the pot. bigpaffu opens from the button to 1,200, and I defend from the big blind with . I like to defend my big blind when the button opens 3x with about 50% of my hands. If they decide to open 2x then I defend roughly 70% of my hands. I check and bigpaffu bets 1,600. Since I have an up and down straight draw it’s a really good hand to check-raise with. I also don’t want to just call because I might end up on the river with high, and that is not good for showdown value. I check-raise to 5,600 and my opponent calls. The turn is a , completing my straight. I bet 8,800 into 13,500 and bigpaffu raises me to 17,600. Here I have two choices: to just call or put him all in. I would just call if I was putting him on , but he wouldn’t have called my raise on the flop with only a gut shot. I’m also blocking as I hold the in my hand. Therefore, he could have a set to be raising me on that turn, so I decided to shove all in and get the most value out of my hand. I expect him to call with his set as he would be committed to calling. I put him all in 57,800 and he snap-calls with . The river is a , giving me the best hand and a pot of 129,400.